After years of resistance, I finally started delving into the universe known as Twitter a few weeks ago. While I'm less than thrilled to have found yet another way to waste time online, there are some definite bright spots. One of them is this delicious recipe that popped up on BrokeAss Gourmet's Twitter feed a few days ago. It's pretty hard to beat plain old homemade mac 'n cheese but the addition of the pumpkin gives it a lovely flavor and the fresh herbs add a little depth. 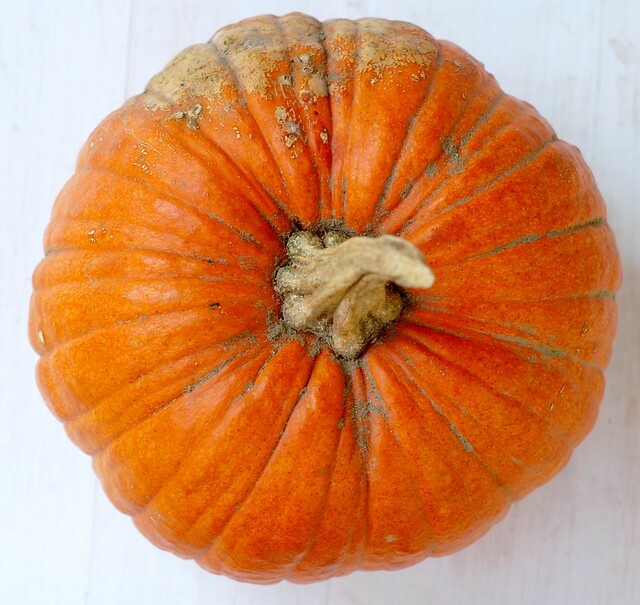 If you've got some extra pumpkin puree or roasted butternut, acorn or delicata squash lying around after yesterday's extravaganza, this is a great way to use it up. The key to making your own mac 'n cheese is starting the cheese sauce with a roux, a killer combination of browned butter and flour that provides a sumptuous base for the rest of the dish. Trust the French to think this up. 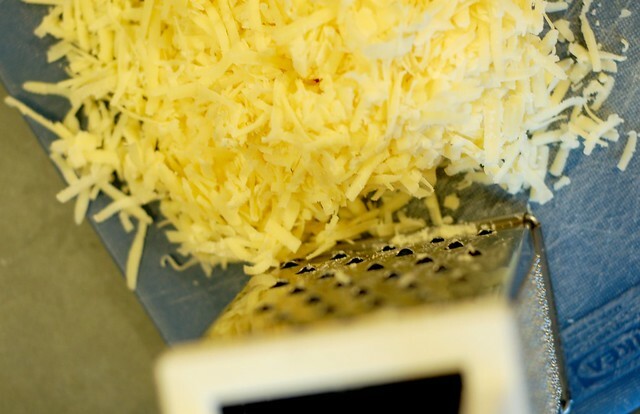 Of course, adding a mountain of grated cheese helps, too. I've adapted Gabi's recipe slightly - adding some fresh herbs (the thyme complements the pumpkin really nicely), increasing the onion a bit and doubling the size (with time at a premium, I consider any recipe that only feeds us for one meal a bit of a waste) but it's basically the same. So stop wasting time online! Go use up some of those Thanksgiving leftovers. 1. Preheat the oven to 375 degrees F. Lightly butter a large baking dish. 2. Cook the pasta in salted boiling water according to package directions until al dente. 3. While the pasta is cooking, it's time to make the roux. Melt the butter in a medium pot over medium-low heat. Add the onion and cook, stirring occasionally, for about 5 minutes, until the onions soften and become translucent. Turn the heat up to medium and cook, just until the butter begins to brown. Add the flour and whisk until you have a thick paste. Continue whisking the butter-onion-flour mixture for 1 minute. 4. Slowly whisk in the milk or half-and-half a little at a time, to form a thick sauce. 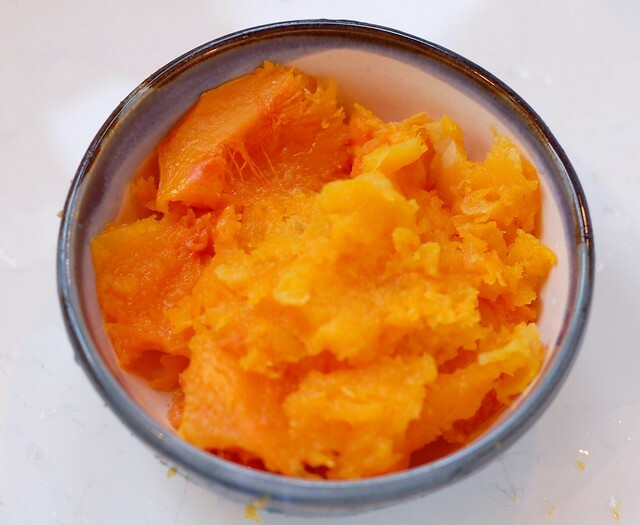 Continue whisking as you add the pureed pumpkin or squash and two cups of the white cheddar. Add the chopped herbs and season with the nutmeg, salt and pepper to taste. 5. Drain the pasta and return it to its pot. Use a rubber spatula to scrape all of the sauce over the pasta and stir to coat the pasta evenly. 6. 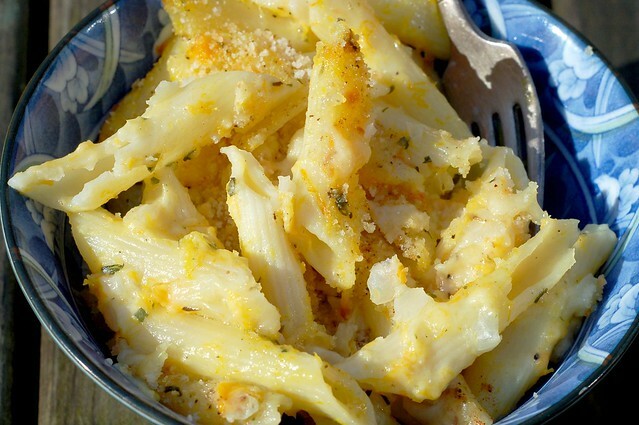 Scrape the sauced pasta into the prepared pan and top it with the bread crumbs and the reserved half cup of cheddar cheese. 7. 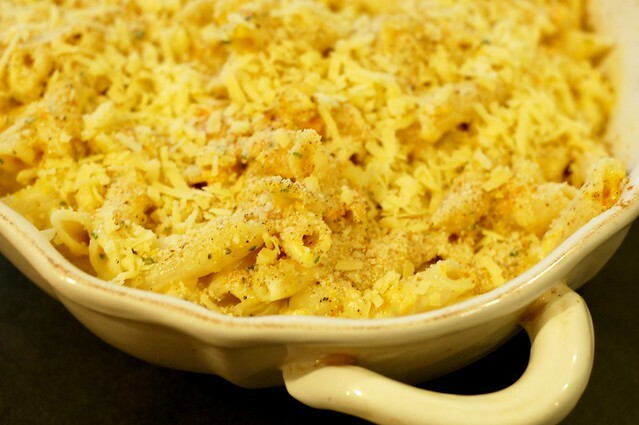 Bake for 20-25 minutes or until the cheese is very bubbly and the breadcrumbs are lightly browned. Serve hot. Doesn't quite seem like a true M n C without elbow pasta. And a good M n C doesn't need any additional ingredients - particularly pumpkin!